Working at heights introduces a different level of risk that cannot be calculated and examined in the same manner as normal risks. Business owners must consider such environments and ensure that they implement effective measures to reduce the involved risk. 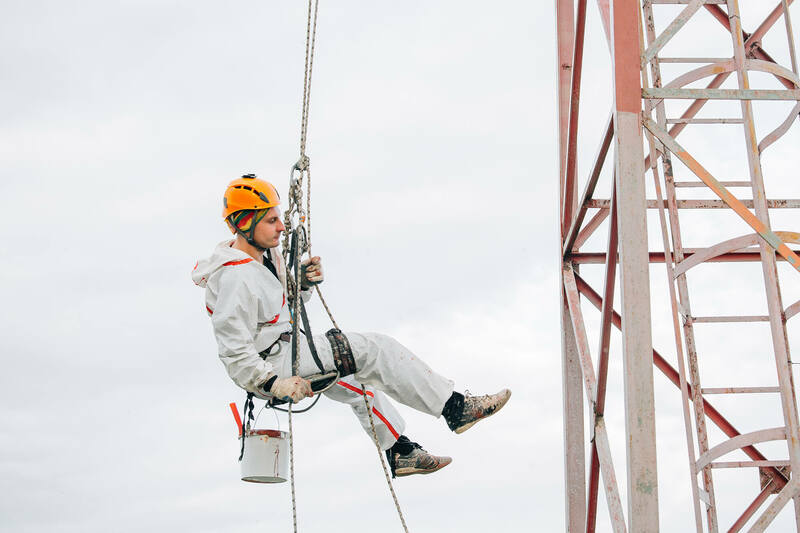 Here, we look at some risks and challenges of working at heights and then suggest how to take the best care of your employees. The primary hazard when employees have to work at heights is the fall hazard. If you buy insurance, then it certainly needs to provide extensive cover for this risk. Not only are your employees at a fall risk, but also the equipment that they must use, when they are at an elevated level. This hazard is common in several industries, such as construction, repairing, servicing and several other industrial applications. Insurance companies will always check whether you have used all available methods to reduce this risk as much as possible. These methods will include protecting the edge of the working platforms and the other areas at height. It may also include methods to secure equipment and objects properly when working at heights. Your workers cannot directly reach a great height. They must employ a method to reach their designated workplace. This transportation phase also carries a severe risk. A platform elevation method may fail, or a ladder may not provide the adequate protection from a slipping accident. As a responsible business decision-maker, you must ensure that you have implemented all the safety features. However, accidents can always happen in risky workplaces. You should get excellent insurance coverage for your employees, to ensure that their financial future remains secure, while your business remains compliant with insurance requirements. Your employees are your most important asset. Even if they are fully covered by insurance, you cannot easily replace an experienced employee due to an accident or the one who leaves due to poor working conditions. Remember, you should create a protection plan for your workers and provide them the training that they need, in order to understand their working environment and avoid working in a careless manner. The training that you provide should allow them to learn about the rules and regulations that apply, when working at heights. They should be informed about the various safety drills and equipment features that are associated with such work. Covering your employees with an ideal insurance policy is also essential to work as a failsafe mechanism, where every incident is fully covered. Another aspect that you should always include is the presence of well-defined breaks. Working at heights is dangerous and requires extreme concentration levels. If you find that your workers may not be able to concentrate for over a certain period of time, implement breaks that ensure that they can safely recover their energies. This ensures that you may never have to use your insurance cover for working at heights. Protection in terms of the right insurance coverage is important if your employees work at heights. If you want to learn more and get the ideal insurance benefits, contact Suburban Insurance Agencies, Inc. today at (630) 325-4000 to schedule an appointment.